Founded in 1992, TFV is specialized in information technologies applied to tourism. With business in five countries, and offices in Portugal and Brazil, TFV is responsible for the commercial, operational and financial management of more than 300 tour operators and travel agencies. In the market for 23 years, TFV leads in integrated management solution for the tourism sector. 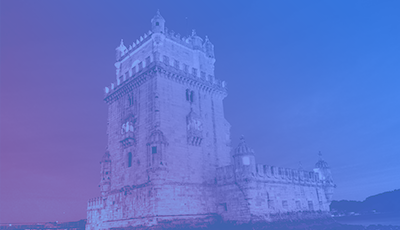 Having more than 50% of market share in Portugal, TFV software is the choice of all major travel agencies and tour operators, totalling more than 1,200 users in 200 branches throughout Portugal, including Azores and Madeira. In 2007, the company began its international expansion, with customers in Cape Verde, Mozambique, Angola and Brazil. 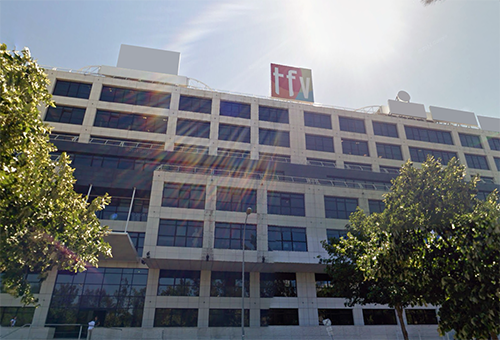 Although multinational, TFV is 100% Portuguese. 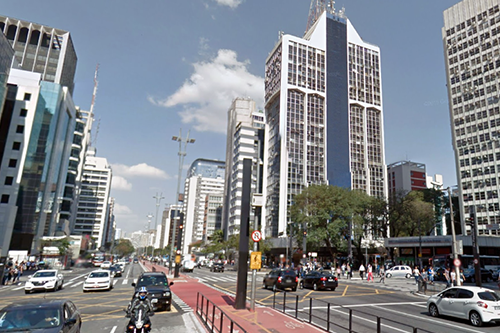 TFV Brazilian branch is located in S. Paulo's Avenida Paulista. It has been responsible for the country's activity for the last 5 years. The customer base reached the 2000 users and 19 tour operatiors and counting. TFV is becoming a major player in this competitive market. With properly structured expansion plans and duly supported by their customers trust assets, TFV is assumed as a solid player in the competitive Brazilian market. 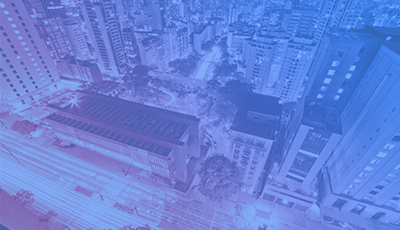 Fulfilling five years of presence in Brazil, TFV is getting ready to serve the South American market with its innovative technology, that with a single platform, attain to carry out the management, integration and communication between suppliers and customers, with effectiveness and attested productivity. Precisamos de Developers para integrar a nossa equipa de Online. Esta equipa é responsável pelo desenvolvimento do nosso motor de websites, webservices e aplicações móveis. Temos o nosso próprio sistema de gestão de conteúdo, e um motor de websites associado, que permite aos nossos clientes criar os seus próprios sites. Tipicamente são sites de viagens - sejam simplesmente informativos, sejam de venda online de pacotes, hotéis e outros produtos turísticos. Atualmente é usado em muitas dezenas de sites, em Portugal e Brasil. Estamos muito orgulhosos do nosso trabalho! Precisamos de reforço em desenvolver novas funcionalidades, melhorar as existentes e atualizar alguma tecnologia, bem como aprimorar a nossa compatibilidade com dispositivos móveis. Como developer, vais integrar uma equipa jovem, com muito conhecimento de negócio e know-how técnico de alto nível, num ambiente energético e colaborativo. Após uma formação inicial acerca do negócio em que nos inserimos e da nossa solução integrada, os developers serão integrados na equipa, sendo acompanhados pelos developers atuais, trabalhando diretamente nos projetos. Trabalhamos numa área muito dinâmica e não faltarão desafios! Portátil, Café, Coca-Cola, maçâs e bolachinhas. Local para almoçar com equipa (cada um traz o seu). Precisamos de Developers para integrar a nossa equipa de Motor de Reservas Online (Internet Booking Engine). O nosso motor de reservas integra conexões diretas a companhias aéreas, sistemas de distribuição globais (GDS), brokers de hotéis, operadores de circuitos e pacotes turísticos, cruzeiros, transferes, aluguer de carros, parques temáticos e fornecedores de outros produtos turísticos. É um dos motores de reservas mais eficiente do mercado e é a base para várias dezenas de websites de Reservas em Portugal e no Brasil. Atualmente mantemos cerca de cem integrações em tempo real a fornecedores. Também existe uma demanda constante para o desenvolvimento de novas integrações. Estamos a contratar developers para se juntarem à nossa equipa e ajudar-nos na expansão nos novos mercados. Como developer, vais integrar uma equipa jovem, com muito conhecimento de negócio e know-how técnico de alto nível, num ambiente energético e colaborativo. Após uma formação inicial acerca do negócio em que nos inserimos e da nossa solução integrada, os developers serão integrados na equipa, sendo acompanhados pelos developers atuais, trabalhando diretamente nos projetos. Trabalhamos numa área muito dinâmica e não faltarão desafios constantes! Portátil, Café, Coca-Cola, maçãs e bolachinhas. Local para almoçar com equipa (cada um traz o seu). System Management tour operators with all operating channels, financiers, suppliers, sales and business integrated into a single application. Fully designed by TFV, the tripoint is a comprehensive solution for the management of tour operators, travel agencies and other companies linked to tourism. The outcome of over 14 years work with professionals of Tourism, the tripoint was developed combining technology with a deep understanding of the specific needs of this sector. It is innovative, easy to use, intuitive and adaptable to the reality of operators and different dimensions of travel agencies. 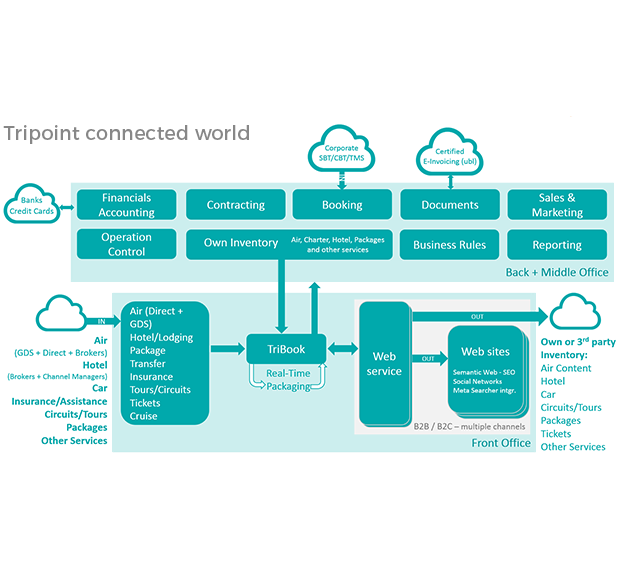 With a new management concept, the tripoint enables administrators to define, from start to finish, step by step, the rules of the flow of your business, that is, getting the software to automatically control them. Internet Booking Engine - dynamic packaging, booking engine in real time with connection to multiple air booking providers, Lodging, Rent-a-Car, tour packages, circuits, transfers and other services. 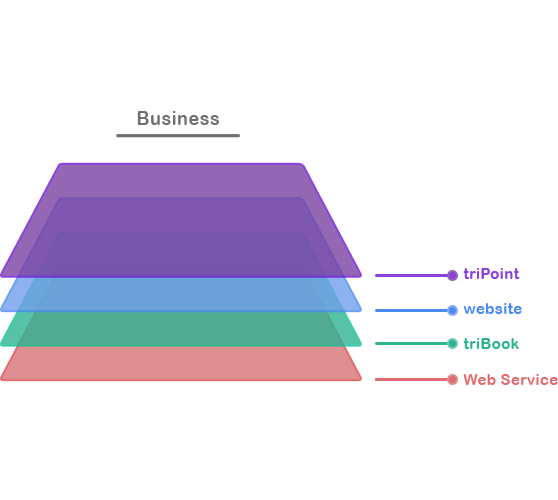 Website inegration - a fully integrated online sales platform, able to give customers access to B2B and B2C product itself and others in real time, creating reserves, access to current accounts and payment online. 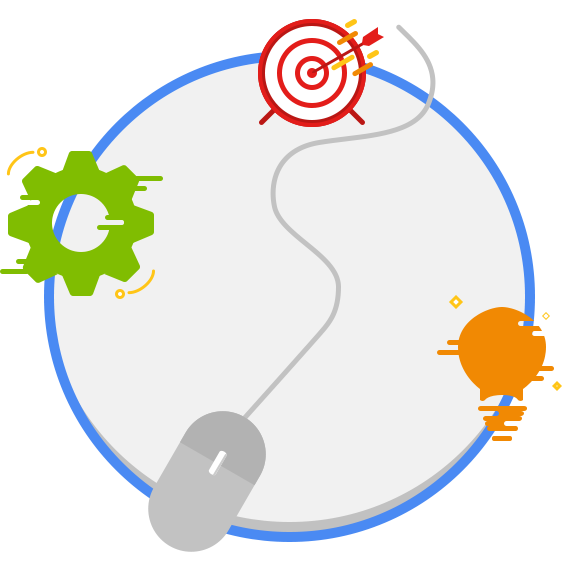 Web Service - online integration platform for content distribution in reserves or websites engines (OTA - Online Travel Agencies). Own product - hiring and inventory management, purchasing and selling cycle Lodging, Air travel, Transfers, packages and other tourist services. Operational and financial management - Absolute control of all operating and cash flow. Focusing in the development and marketing of an ERP Enterprise Resource Planning (Integrated Management System) for the tourism operation sector (the tripoint), TFV also provides services in areas such as development and IT consulting to the tourism sector. Thus, the TFV provides services to a diverse group of clients, from multinationals GDS to small customized solutions. Combining advanced technology innovation, components libraries with working methods consolidated over the years, TFV produces solutions for customers with a significant cost savings. Consultancy, design, development and implementation of information systems are valences that the TFV makes available to its customers. Microsoft partner, allied member of APAVT, TFV is a partner of GDS Travelport / Galileo, belonging to the 'Travelport Developer Network' since its inception. 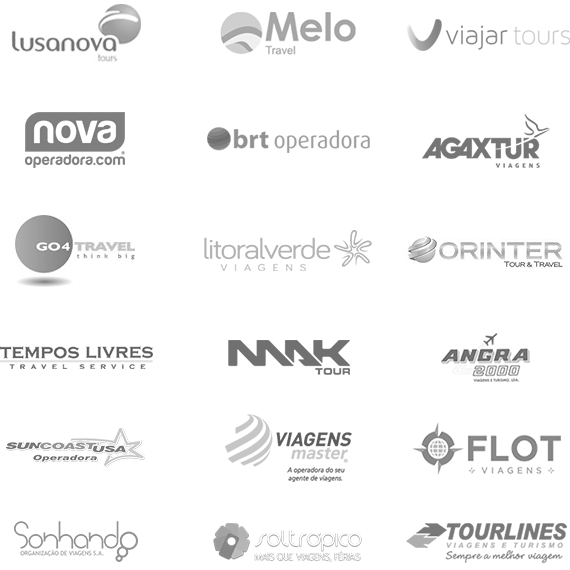 TFV is also certified by GTA, HotelBeds, BedsOnline, Tourico, Disney, TAM, GOL, from over 40 international partners. For TFV the word "trust" has a high significance. Taking as a reliable company, either by absolute discretion in the relationship with its customers, or the efficiency of its products and availability of its teams, TFV assumes the responsibility of maintaining close relationships with all its partners. TFV has the confidence of more than 400 corporate customers with which it has close and ongoing collaboration. Over two decades, the company has managed to win a broader market of customers through its strict policy, simplicity and maximum efficiency. GDS (Global Distribution System), Tour Operators, Travel Agencies and DMCs are among the main customers of the TFV. Based on the relationship that develops with each of its customers, TFV is assumed as a corporate business partner, not as a mere supplier. 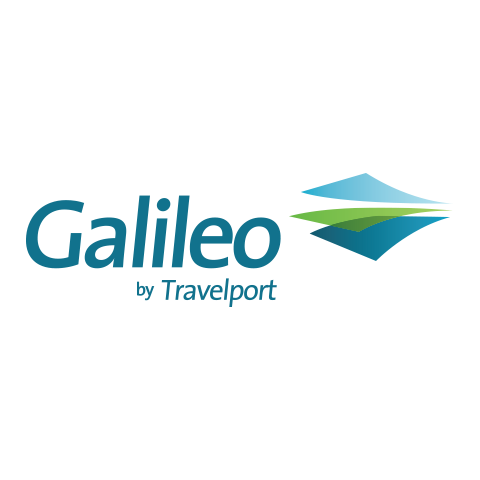 The Galileo Travelport is a reference customer, for which the TFV has developed numerous special projects dedicated to supporting its global activity. For your safety, TFV uses a software that ensures the encryption of communications. Click "Helpdesk Support" to proceed with the assistance. Aware of its social responsibility, the TFV joined KIVA to contribute to a better world. 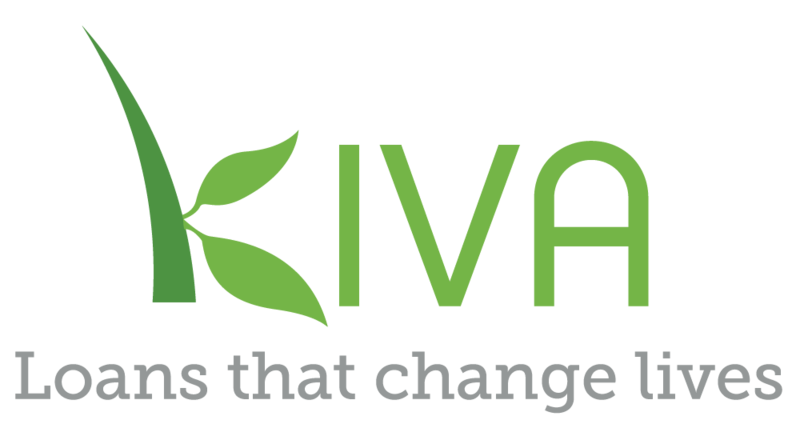 KIVA is A non-profit organization whose mission is to connect people around the world through small loans, reducing world poverty. Taking advantage of the internet, KIVA lets through only $ 25 loan, it can create jobs, small family businesses or boost agricultural production. During the period in which runs the loan (6 months to 2 years), the money will be returned in small monthly installments. So it may come back to help another project of life and do it again the difference. TFV created his group in KIVA so as to make loans. Since 2009, the TFV has already helped over 50 projects in more than 30 countries. Also make your loan through the TFV Group or as an independent user and connect definitely someone who needs a little help to create his own business. Join TFV Group and start today to change lives! Copyright© TFVsa 2015. All Rights Reserved.